In early October, Ontario will vote in the next provincial government. Events of the past 2 weeks have made it much more likely that the new government could be the same as the old one. I wrote a blog entry as the federal election campaign kicked off, which began, “I predict a strengthened Conservative government, and probably a majority.” That race didn’t pan out exactly as I planned, but it was pretty close. For the most part a weakened Liberal party allowed the Conservatives to pick up seats in Ontario beyond what I expected, but it also reduced the vote splitting in BC where the NDP did better than I thought. In the end the result was as I had expected. The federal election should bode well for Ontario's Tim Hudak led Progressive Conservative party. The Federal Conservatives captured 73 Ontario seats, the NDP 22 and the Liberals only 11 seats. The Conservatives captured over 2.45 million votes in the province – which was 44.4% of the marked ballots, and is in the high 20’s as a percentage of eligible voters. The federal Conservatives benefited, in Ontario, from a split of 25.6% NDP vote, and a 25.3% Liberal vote. I prefer to look at election statistics in terms of the share of potential votes. 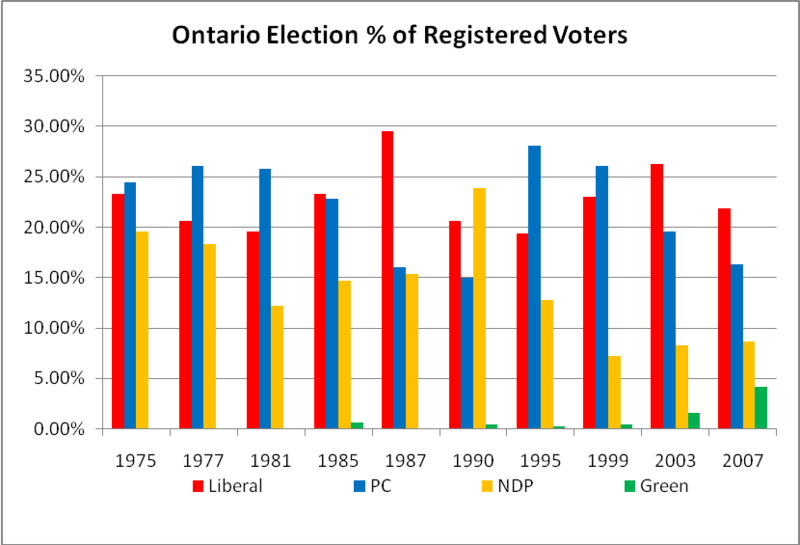 In Ontario, as federally, the share of eligible voters voting has been declining. 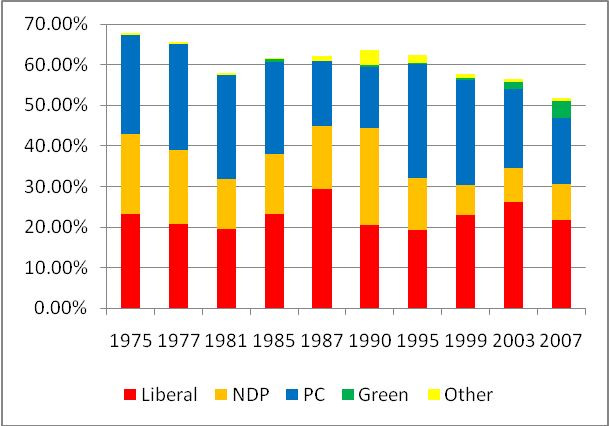 What has not recently been changing, significantly, is the percentage of voters who support either the NDP or the Liberals. The trend shows that these two parties are likely to collect 30-34% of the available votes. It is possible to see the exception to that occurring during Mulroney’s majority rule federally, which supports the belief Ontario spits its support federally and provincially. Regardless, since the Mike Harris PC party won in 1995, the trend has been a decline in voters which closely matches the decline in PC votes. 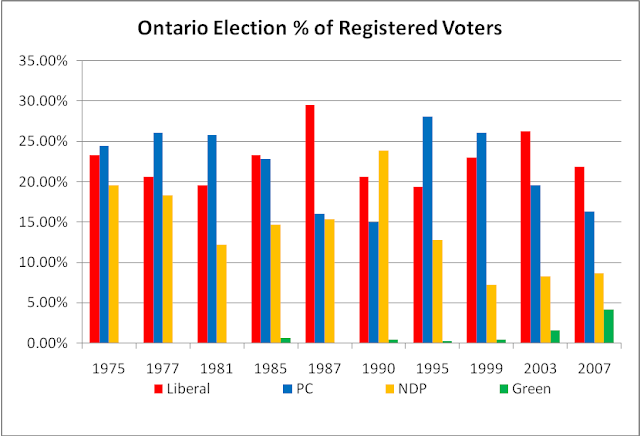 The May federal election saw a modest increase in voter turnout to 61.4%, almost fully 10% above the last Ontario turnout. A 10% bump would make a big impact in Ontario. If it occurred, it would likely go disproportionately to the PC’s, who collected a meager 1.4 million votes in Ontario’s 2007 election; over 1 million less than the federal Conservatives won in May. The differences between McGuinty’s win in 2007 and Harris’ win in 1999 was 600,000 fewer PC voters, and a drop in voter turnout percentage which equated to over 500,000 fewer voters. In the past couple of months, both opposition parties had, in my opinion, laid a good basis for an election campaign with the release of their platforms (I’m deliberately ignoring the Greens, and other fringe parties). The PC’s‘Changebook’ platform should have benefited from the initial reaction in the popular press – a reception that basically said the offering continued McGuinty’s policies with some hopeful budget projections. 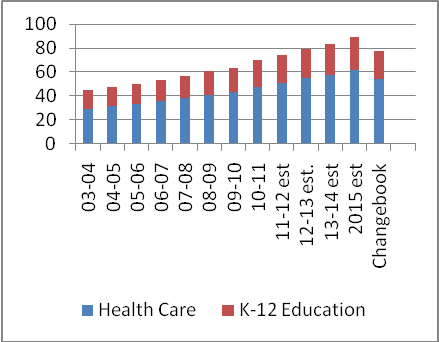 At first pass the press entirely missed what the figures shown for health and education spending meant. The result of the careful presentation of the aggressive aspects of the platform should have freed up Mr. Hudak to concentrate on ceasing the escalation of electricity rates and providing the tax cuts that have been targeted to the most indebted voters – families. The problem being that the PC’s then took the summer off, and Changebook may have ceased to be a significant issue. Electricity rates, for residential customers, remained fairly consistent as the government chose to increase government debt to cover-up the increased costs of it’s policies (through the OCEB). The fiscal questions internationally are likely to halt the rise in gasoline prices. The debates Changebook hoped to lay the groundwork to win, seem increasingly unlikely to appeal to the missing million, who are potential PC voters. The NDP, similarly, developed a platform that I thought was very strong, and could have formed the basis of a campaign leading to government. Targeting the HST on all energy was appealing, but adding gasoline to the exemptions should have really bumped their support in the north. But again the platform was useful in laying the groundwork for a debate – and before that debate could occur the NDP sabotaged themselves by becoming the Greenpeace fringe party as soon as they went off script (like the Greens). My advice to the NDP would have been to maintain the national brand that has aided it’s success federally, and in provinces from Nova Scotia to Manitoba – in fact I’d have the phrase ‘like Manitoba’s long-term NDP government’ worked into as many sentences as possible. I would not have talked of nuclear as ‘dangerous’, putting the public generator, one that advocates for nuclear internationally, in charge of procuring wind supply, and then talking of bike policy as if the Premier of Ontario should act like the Mayor of Pleasantville. As we enter the real campaign season (hindsight is likely to show it started a week ago), we have an unappealing PC option and the increasing likelihood the NDP/Liberal vote will not be evenly split. As it becomes more likely the PC’s would need to win an election by actually presenting themselves favourably to potential voters, the conventional political position that the leader in the polls should never take a chance on any position of substance is increasingly likely to hurt a PC leader who currently comes across as more smarm than smart. It is difficult, for me, to see a scenario where the PC’s don’t take more seats than in 2007, especially in the 905 regions surrounding Toronto, and eastern Ontario, and it’s very hard to see the NDP not winning in Ontario’s north, as they did federally. It’s also hard to see how a minority PC government could govern effectively – but that is the most likely outcome. Federally, the one piece I didn’t foresee was the movement to the NDP during the campaign. I believe the single greatest cause of that was Jack Layton’s debate performance, most importantly in hammering Ignatieff’s attendance record in Parliament. Canadians didn’t exhibit much patience for not showing up, regardless of Mr. Ignatieff’s reasons (which were likely sound). As Ontario’s election campaign came to life in the past two weeks, with the Liberals and the army they’ve enriched (Green Energy Act beneficiaries, and government unions), and as the NDP committed Harakiri with a bicycle, Hudak was reportedly on two weeks of vacation. I am aware Tim Hudak has a personal life – and I certainly think there are more important things than public life for all of us. But to lead a party he needs to be present. Not being Dalton McGuinty is an attribute 7 billion people on the planet share; that can’t be the basis of asking for the votes of Ontarians, who need something to vote for – and for the PC’s to win a majority they need over half a million, and perhaps closer to a million, Ontarians to chose to vote for them instead of choosing not to vote at all. Apathy is as great, or greater, an opponent as the Liberals or the NDP. Voters need to be convinced. 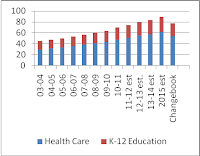 It is time for Tim Hudak to step up … or to step down.